I love girlie home decor! 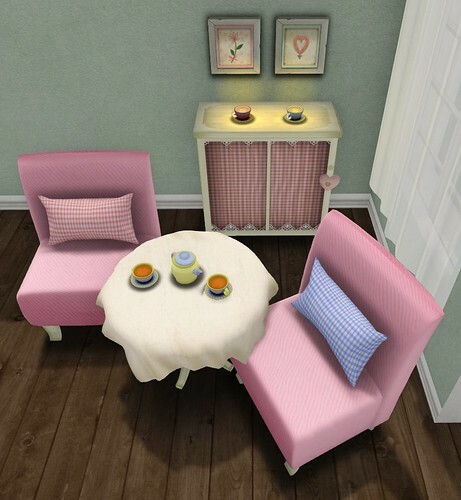 What Next has a new Mirabelle ‘Tea for Two’ set that would make a lovely addition to any home or skybox. 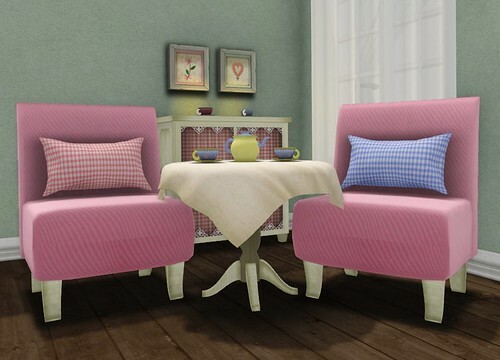 I love the texture-changing chairs and table cloth, and adorable poses built into the chairs. Also shown above is the matching Mirabelle Cabinet & Decor; this cabinet features a texture-changing curtain. Looking for a cozy new skybox? Check out the Havisham Apartment Skybox from North West. This two-room skybox is the perfect size and scripted to change wall, floor, and curtain textures.